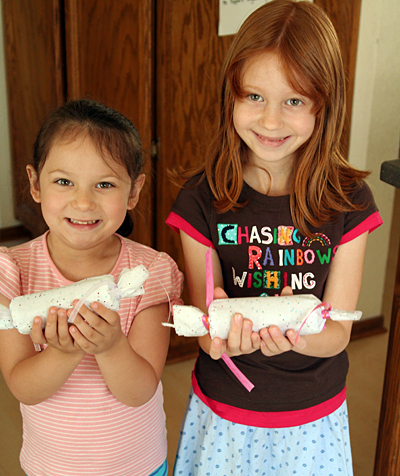 One of our first-week-of-school projects was making these simple time capsules using a cardboard tube. 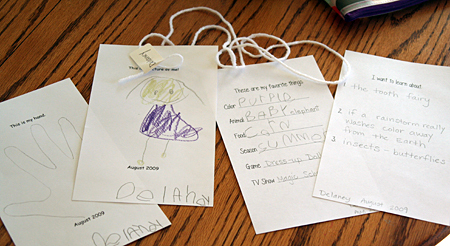 Start by collecting, writing, or drawing some things to go inside. My girls traced their hands, drew a self-portrait, filled in a list of favorites, and thought of three things they want to learn about. We also cut a string to mark each of their heights. 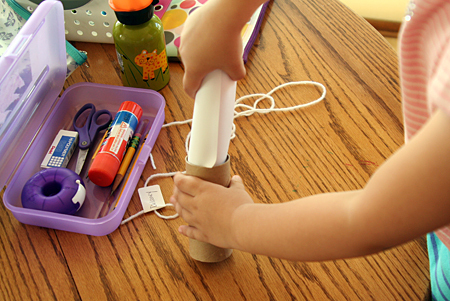 Roll-up your things and insert them into the tube (we used toilet paper tubes). Wrap up your tube with some tissue paper and ribbon – then hide them away till another day! We’ll be pulling ours out at the end of the school year – maybe I’ll sneak in a little surprise treat then, too! Great idea … I love it. Thanks for sharing! I love this idea. We’re starting school next week and I think we’ll be doing this. Thanks! I love it. I can’t wait to do this! Very clever, but simple enough to be able to be completed autonomously! What a sweet idea! We started our first “official” day of school today with a life sized portrait. I am so excited to try this simple yet beautiful keepsake tomorrow! Thanks for another great idea! Thanks for the idea. Our first day of homeschooling was Monday so we made these at the end of the day! It was nice to hear some ideas of what they would like to learn! Love, love, love this idea!! Brilliant!! Great idea! 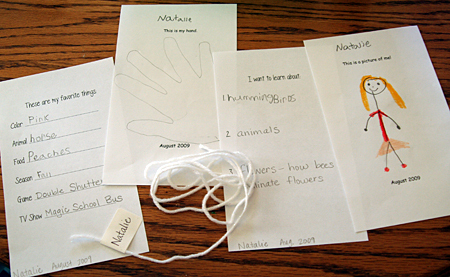 I work for a public library with a Summer Reading theme of “Dig Into Reading” so time capsules are perfect!